Mantras from Ram Dass | Be Kind. We're all in this together. Inside of me there’s a mantra going on that reminds me of who I am. It’s that place inside – that niche in the wall where the candle flame never flickers. Always bringing me right to my heart where we dwell eternally. 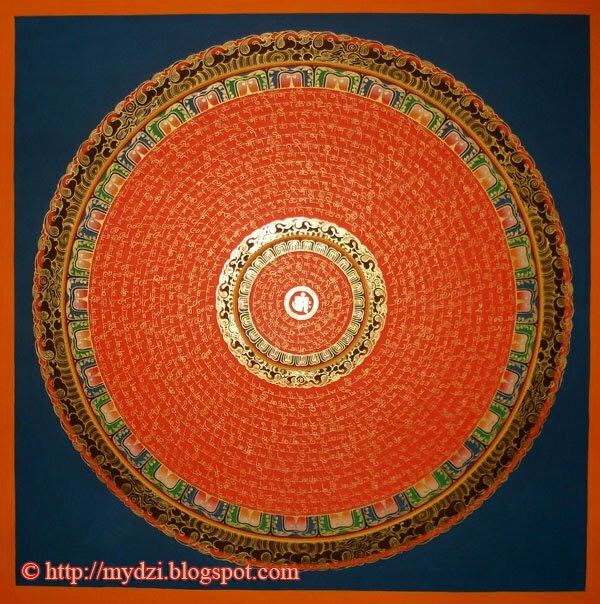 Mantra is the repetition of the names of God. Mantra is usually recited silently in the mind. When practiced daily, it has the ability to steady the mind and transform consciousness. To be most effective, mantra should be repeated frequently; any time, any place – walking, taking a shower, washing the dishes. I used to do mantra while waiting in line, so as not be bored. Now I practice being here now in line. In Buddhism, the word mantra means “mind protecting.” A mantra protects the mind by preventing it from going into its’ usual mechanics, which often are not our desired or optimal conscious perspective. Mantra is a powerful spiritual practice for centering, and for letting go of strong emotions such as fear, anxiety and anger. The more you practice mantra the more it becomes a part of you. When you need it on the psychological level – for example when you feel afraid, using your witness, you notice the fear and replace the fear with your mantra. This will occur naturally once mantra becomes an established practice. Mantra is a daily reminder of the presence of the Divine within ourselves and all beings. Keep repeating your mantra consciously until it has become a strong habit. Go for a walk and say the mantra all the time you are walking. Notice everything but keep the mantra going. Keep realizing that being with God is your focus… and therefore everything you see is part of God. Maharajji said, “The best form in which to worship God is all forms.” Everyone you meet is Ram who has come to teach you something. Mantra is remembering that place in the heart – Ram, Ram, Ram. Say it, mouth it, think it, feel it in your heart. You are continually meeting and merging into perfection. The Divine is present in the soul of all living beings and in the Universe. In different ages, countries and religions, God has been called by different names. An avatar is an incarnation of divine consciousness on earth in human form. An avatar takes birth at a time where spiritual teaching is needed in order to establish new pathways for religious realization. According to traditional Hindu view, Rama, Krishna, Buddha and Jesus are avatars. Once you choose a mantra and establish a practice, it is a good idea not to change mantras so the practice will become deeper. Here is a list of Mantras – select one that feels right for you. The mantra that I use is the same as my guru, Neem Karoli Baba used which is: “Ram, Ram, Ram, Ram, Ram….” The story of Ram (or Rama) is told in the spiritual classic, Ramayana. Ram represents living daily as an act of worship. He is a being of great light, love, compassion, wisdom and power – in perfect harmony. Ram is the essence of who you are when you realize your true self (the atman). Krishna represents many aspects of human love: parental love, romantic love and love between friends. His instructions to Arjuna in the Bhagavad Gita are a complete teaching on living life as a spiritual practice. This entry was posted in Uncategorized and tagged mantra, Ram Dass. Bookmark the permalink. ← Most incredible photos – be transported back in time.